I noticed the EKWB and RTX logos are not LED lit on yours either. They appear to be illuminated in some of the pics and videos on the web. Any ideas? Pretty sure it’s an option. The RBG ones. Ya, it's an option. Bought my card off of Vega who opted for the none RGB version it seems. Probably would have purchased the same as the pretty lights on a waterblock only add an extra 0.00001 fps last time I checked. I actually have the RGB edition. From your pics it appeared you did as well. Guess I was mistaken. I have an RTX 2080ti, but my benchmarks are low. I'm getting 7886 in Port Royal. My specs are in the sig below. Did you do any tweaking at all yet? Power limit? Fan profile? I've been using MSI afterburner, and the highest I can clock the core is 82MHz. I haven't tried to increase the voltage, due to the fact I don't want to harm the card. I've also run the fans at 88% and the highest temp I recorded during any benchmark was 76C. I have increased the power limit to 111, but it doesn't seem to do much of anything. Yup, my card is this one: EK-Vector RTX 2080 Ti - Copper + Plexi which doesn't come RGB equipped. Your card is probably the Nickel + Plexi version which does. OCing a little (2115/+1000 mem) got me to 9k Port Royal. I've never maxed out my memory since that would require installing PrecisionX rather than Afterburner... but I am happy with this. What's interesting is in all cases I've seen so far DXR features drop power usage compared to straight up rasterized. I wonder if there will be a case one day where that is not true. Maybe no RT, just DLSS? I've never tried the Final Fantasy benchmark. What is your power target at? 110-120%? I flashed the Galax bios. So with +126% it’s 380W. I also shunt modded but it didn’t gain me anything over the Bios flash... yet. So far it seems ray tracing is such a bottleneck it holds back the CUDA cores where power usage drops a little. Yea that's what I was afraid of. I really don't want to void my warranty. Good job on your overclock and score. I think the last time i tested my score it was 8300 ish 2085/800. I can't wait to run that test when my 2nd card + nvlink arrives on tuesday. Just realized that my Port Royal bench made it into 3DMarks Hall of Fame @ #75 for a single card score. Probably won't last long, but hah, not too shabby being driven by a 4790K! Armenius, Maddness, Dayaks and 2 others like this. Nice! I could probably get on the board if I tried. At 90xx and it starts at 92xx. But it’d be at settings I wouldn’t necessarily run 24/7 lol. Thanks, Yup, very much watercooled. Hey Dayaks.. Can you message me information on how to flash GPU bios? I'm having second thoughts.. I might give that a try. My card is in my signature. 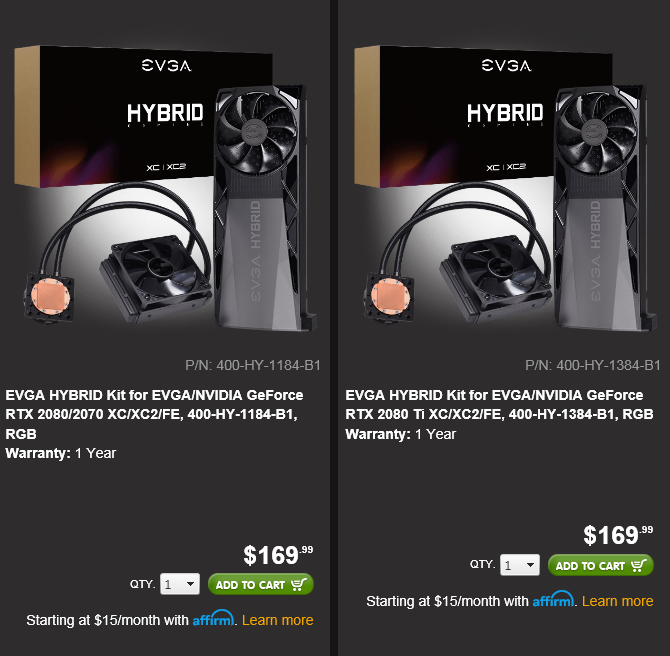 I am pretty sure you cannot flash the EVGA Black card. Ah good to know. I think it is for the best especially regarding warranty. There is a custom release of NVflash that's floating around which will allow your to cross flash between vendors on using the FE PCB (nvflash_5.527.0_modified). I will research this and see If i can come up with something. I figure there's someone that has done it before. I have, I'm running an FE with the EVGA XC Ultra vBios. Armenius, Maddness and NestedRAID like this. I should point out however that I'm not sure if the Black is running the "A" silicon which would determine how stable it would be using the XC/XC Ultra vBios. Honestly, I don't expect it to at $999.99 per card it was a great value when compared to other 2080Ti prices. I may not get the most insane clocks but my performance has been more than enough to push games using my Acer X34 predator 3440x1440p with max settings within 100-120 fps. Thanks for going out of your way to let me know the options and what to look out for. I really appreciate it. It is not using the "A" binned chip and will not work with a bios made for the "A" binned chips. It cannot be flashed with a higher power limit bios because they are all for "A" chips. I sent you the place to go. The 380W galax bios worked great on my ref pcb asus dual. Thanks for doing the leg work on the research. I will keep this in mind down the road when I pick up the next pair of Ti's. Much appreciated. Thanks a ton for the information. Unfortunately it looks like it wont work on my cards, but I will use the information as a reference. Thank you kindly. At worst you might be missing out on 5% perf. When you waterblock the cards don’t increase voltage, just max the power limit and increase freq first. Also when I ran sli with 1080s if they throttled at all my frametimes went to hell. Watch out for that. Thanks for the advice. I will remember it when i get my ek parts in february. I am also looking forward to the cpu cooling it will provide. the 8700K is a hot cpu and on air im getting 70-85C at 5ghz. Something that I know will be much lower with a velocity ekwb. You know what Dayaks I completely forgot about the damn evga step up program. I have 71 days left on this card and ill have a full 90 on the card that comes in tomorrow. Im going to mull it over but I may just step both of them up to XCs so that I can get into the much higher power bands. Thanks to my RMA, EVGA has sent me both a red and a black trim kit bringing my total to red, white or black for accents. I feared shutting off my system to replace them but settled on black. I may go red later if I turn on the LED of my mobo as it has a red glow theme to it. Careful, the red trim may slow performance down by a good 4-5% as the card may get slightly confused thinking it's an AMD product. 1st world problems... How your $1350 card looks and which trim accent it should sport for max performance. Menthol is using a much older driver version than you are (411.63 vs. 417.35). Menthol's score was also done on Windows 10 1803 while yours is with 1809. Yes, 3DMark scores can vary wildly between driver and OS versions. Did some video editing over the weekend, nvenc render with a 2080 ti is pretty nice. Edit: takes 1 min 28 sec to render a 3 min 20 second file in mp4 hevc using the 1080p nvenc preset in vegas video. HEVC is stupidly slow rendering via CPU only so quite happy with that. This card isn't just for gaming. No formal benchmarks to report, but for my deep learning project the 2080Ti is about 25% faster in FP32 work. I did some gaming last night, PUBG for about 2 and a half hours, 4K Medium AA, High Shadows, Ultra everything else and it's incredibly smooth. The experience was on par with my 1080Ti at 4K with low / medium settings. I don't have the NVLink bridge yet, so no SLI results to report, but single card is insanely fast. NestedRAID and mikeo like this. I didn't even think about that. Makes sense but I am also sure there's a few things i can do to increase my score. I have my NVLink bridge coming tomorrow. Pretty excited. If you can take advantage of scaling your data to 16bit or even 8-bit range, you will see a big performance increase with the 2080ti for both inference and training aspects of deep learning. Yup, that's the idea. when trying to use fp16 backend I keep running into NaN loss (immediate) with a fully convolutional model in Keras. Debugging that to fully realize the gains that Turing has to offer. 13996 first run Port Royal RTX test 2080Ti's NVLink/SLI all defaults. Going to start tweaking now. Would be nice to see them get into the 15-16 range. Hopefully the temps hold up on air. Wont be able to test liquid cooled until early/mid feb.
Supercharged_Z06 and Armenius like this.